Scully had his work "busted" twice — once in 1969 for the 1968 Denver lab (the search was eventually ruled illegal in 1972) and once in 1973 for the 1969 Windsor lab conspiracy (which resulted in a 20 year sentence). 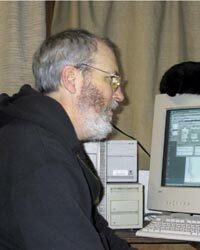 Scully spent his time in prison helping with computers and improving communications for disabled prisoners. His entire life, Tim Scully has been interested in cutting edge technology and computers. 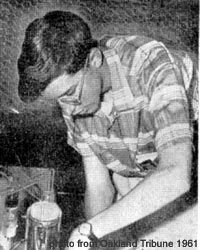 As a teen in 1958, he earned an honorable mention at a San Francisco Bay Area science fair for designing and building a small computer. He later received recognition for building a small linear accelerator pictured in a 1961 edition of the Oakland Tribune. He was trying to make gold atoms from mercury. Scully has been a pilot much of his adult life and has worked in biofeedback and interface systems for people with disabilities. He has published a number of articles on the topic of biofeedback and as many on technical computer topics. He retired from his years of work with Autodesk in 2005 and is currently researching a book on the underground history of LSD. Scully T. Biofeedback and some of its non-medical uses. AHP Newsletter, December 1976: 1-2. Reprinted in J. Brennecke and R. Amick (Eds.) Readings to accompany psychology and human experience, 1978, New York: Glencoe Press. Scully T. 8080 matrix subroutines. People's Computers, 1977, 6(1):41. Scully T. Computerized biofeedback and stress management. Creative Computing, 1979, 5(12): 88-94. Was Orange Sunshine actually ALD-52?